The business world is constantly changing, and the rate of change is becoming faster and faster with every passing year. If a company wants to have continued long-term success, it needs to be able to adapt and transform itself alongside the market. This makes change management critical in keeping a business competitive. Therefore, it is beneficial to examine what are the critical factors that help lead to success while implementing change. Putting a company through a significant transformation is a serious process that would affect everybody involved with the company, starting from the top-level executives and stakeholders, and finishing with the lowest-level workers, and even clients and partners. A project that big requires strong and active support, and the first people that need to become fully invested in it are the natural leaders of the organization sitting at the top. Without their support, any attempt at a significant transformation is destined to failure. 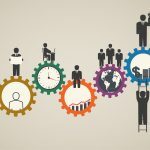 While all the executives and stakeholders need to support the process of change, most of them will not be able to devote all of their time to it. Because of this fact, an individual needs to take charge of managing the change. At least one respected leader, either an internal executive or an external consultant, needs to take ownership of the change project. On top of this, they need to assemble a team of leaders to make sure it all goes through successfully. Strong and devoted leadership is simply paramount. Remember, that does not meet that the respected leader is responsible for the change, that ownership remains with the top executives. Everybody in the company needs to be able to see why change is needed, and what the desired outcome of the change project is. This means that a clear vision for the future needs to be created and made accessible to everyone. It’s really a make-or-break factor, because it allows the whole organization to work in the same direction and towards the same goal. If the vision is not clear and easy to communicate, everybody develops their own spin on it, and efforts become misaligned, or even works against each other. 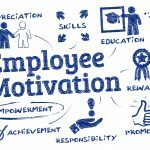 Additionally, when employees don’t have a clear sense of direction, they are bound to lose their motivation. While executive support is crucial, employee engagement and participation are equally important and decisive. When a company is undergoing change, it affects everybody, and everybody needs to become a part of the process. 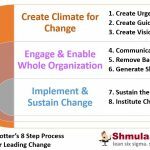 If employees do not understand the vision, direction, and need for change, and are not active and willing participants in the process, the whole change project will not succeed. This is why a lot of effort needs to go into making sure that individual employees are personally invested in the company’s transformation. 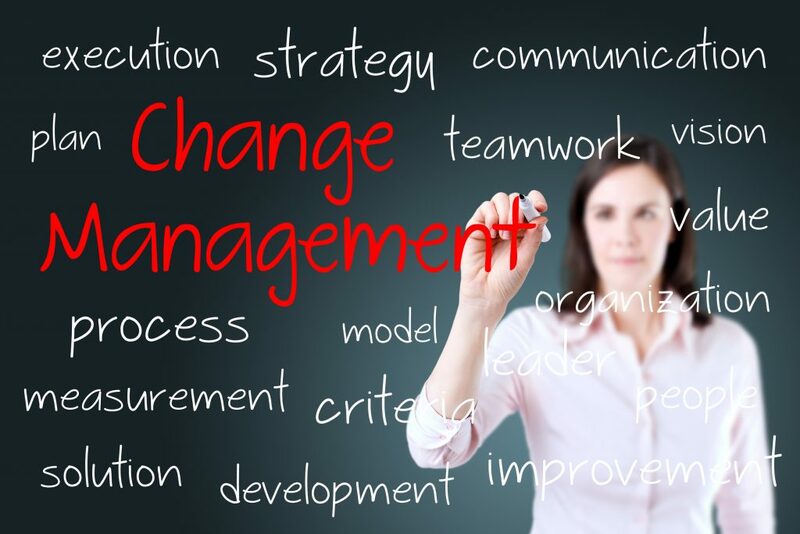 Change management is something that is a function of people management. It requires constant communication and dialog. The process of transforming an organization into something virtually new might be quite painful for some, and is likely to create a lot of issues and tension along the way. This is why a persistent, open and honest conversation about what is going on is essential in maintaining a productive atmosphere, while the change project is ongoing. Additionally, all kinds of individuals might have valuable input on how things need to change, so an avenue for dialog should be open at all times. In this way, those valuable suggestions would be allowed to have a positive impact on the process. As any other large-scale project, change management requires a high level of accountability. Having a clear plan is not enough, and the current progress should be regularly measured against the vision created for the future, along with the current performance of the business. When there is no constant accountability, efforts might become aimless, and people could quickly revert to inefficient old habits. This is why accountability should remain a priority until the completion of the change project, which happens when all the changes implemented become ingrained in the company culture permanently. 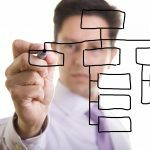 In the end, change management is a complex form of practical leadership that requires focus in more than one area. The key factors that can allow the change project to succeed can also doom it to failure, so none of them can be neglected. 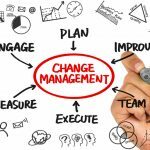 The successful change manager needs to make sure that all aspects of the process go to plan, and that the many possible points of failure are not allowed to hinder the project’s success.